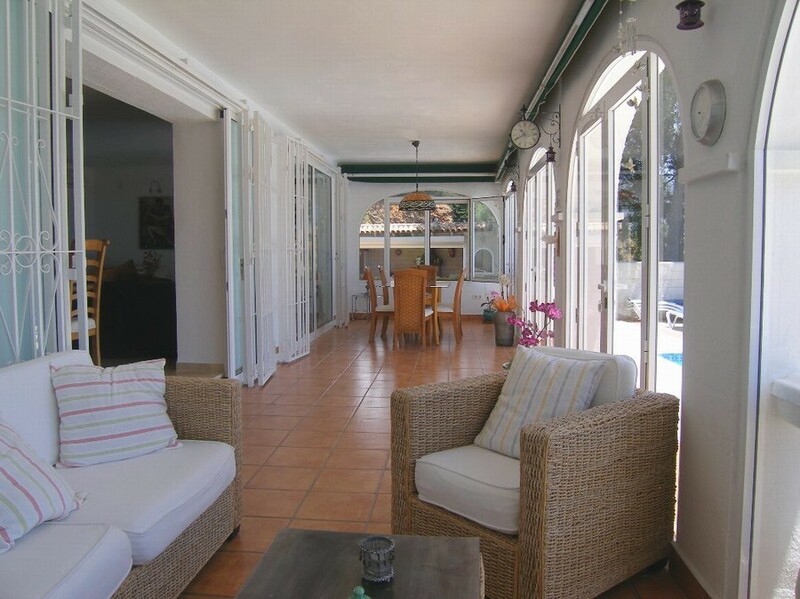 This spacious, southerly orientated villa occupies a prime position within the delightful and charming village of Mijas. 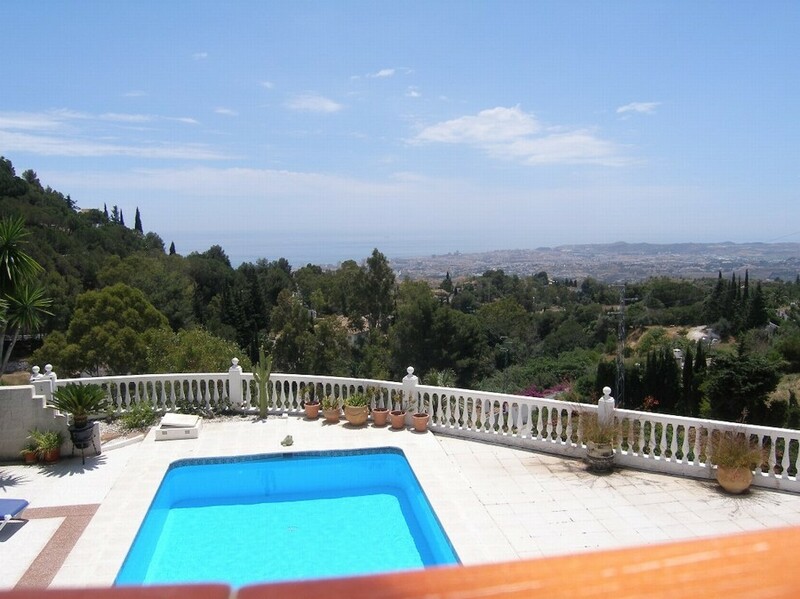 Stunning views down to the coastline and the Mediterranean sea and the coast of North Africa.The property is fully enclosed with automatic gates leading to a double carport. 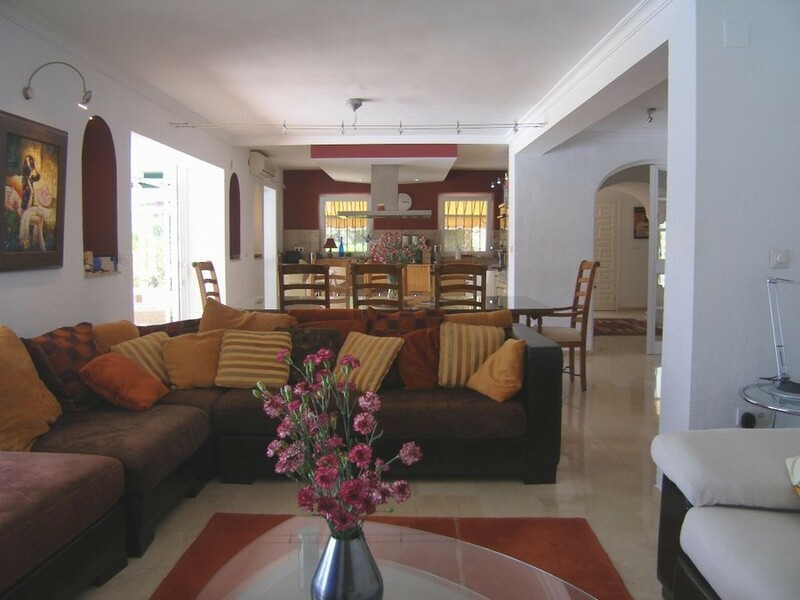 GROUND FLOOR : Spacious entrance hall leading to an open plan living/ dining / kitchen area. 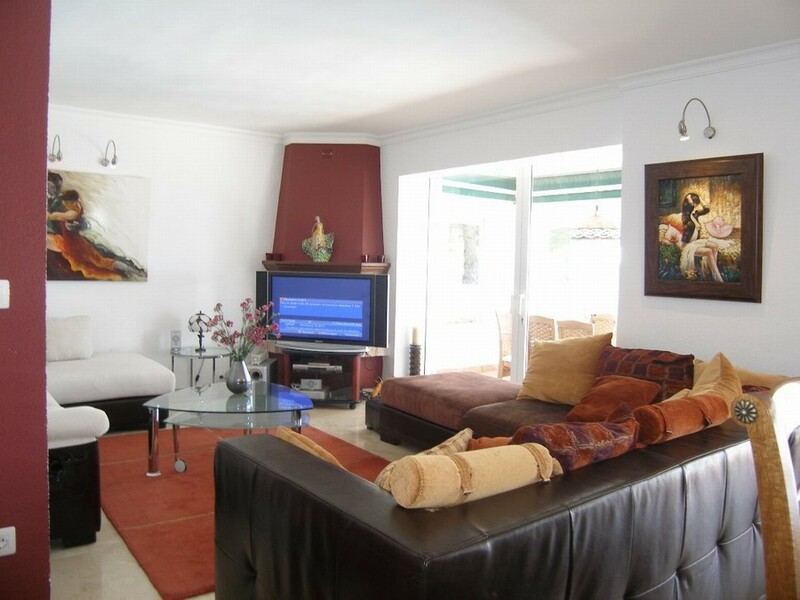 Spacious and bright lounge with a feature fireplace and patio doors leading to a conservatory area/winter sunroom. 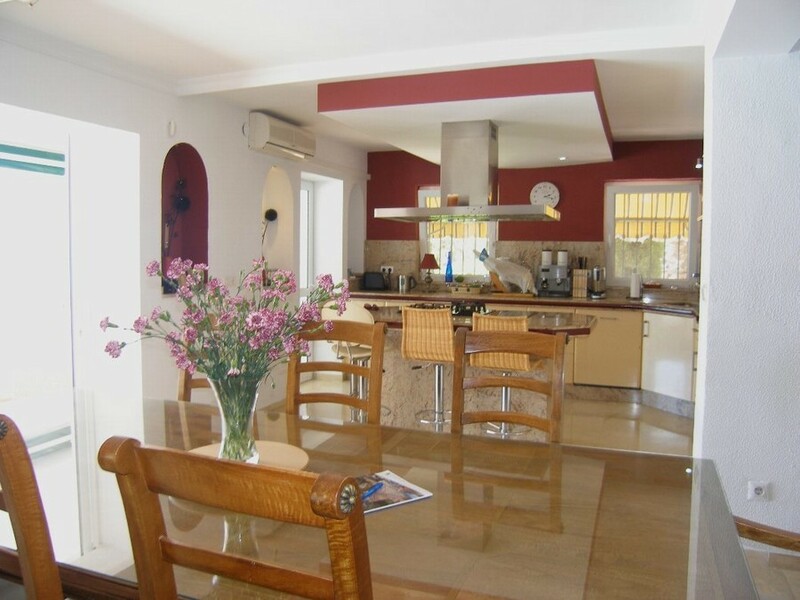 Kitchen with quality granite worktops, gas and electric cooking hobs, integrated Bosch double oven, dishwasher, fridge freezer with island work surface. 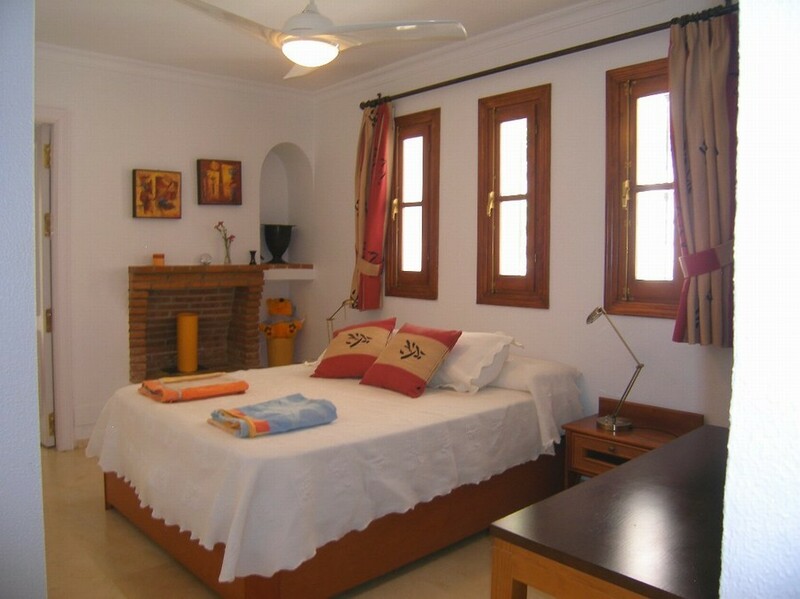 Double bedroom with en-suite bathroom with feature fireplace. 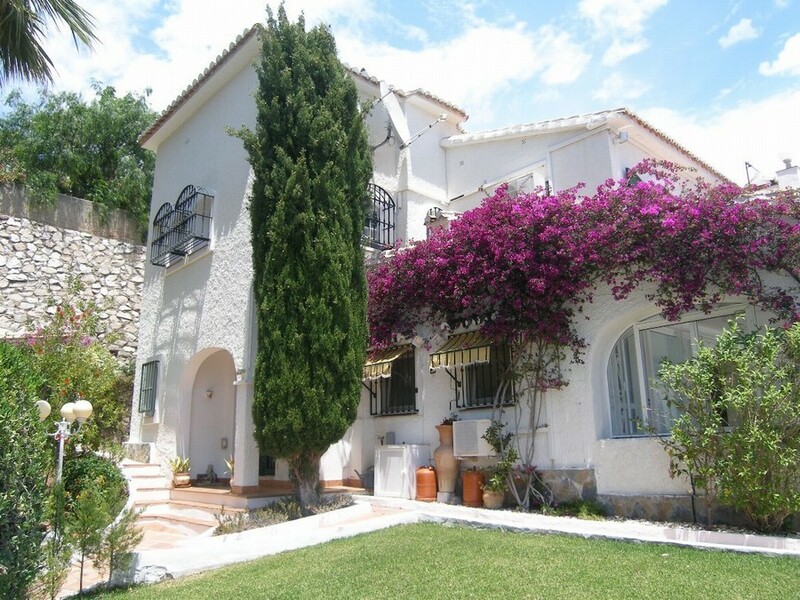 UPPER LEVEL : 4 further double bedrooms.2 of the bedrooms have spacious terraces with excellent sea views.Family bathroom. 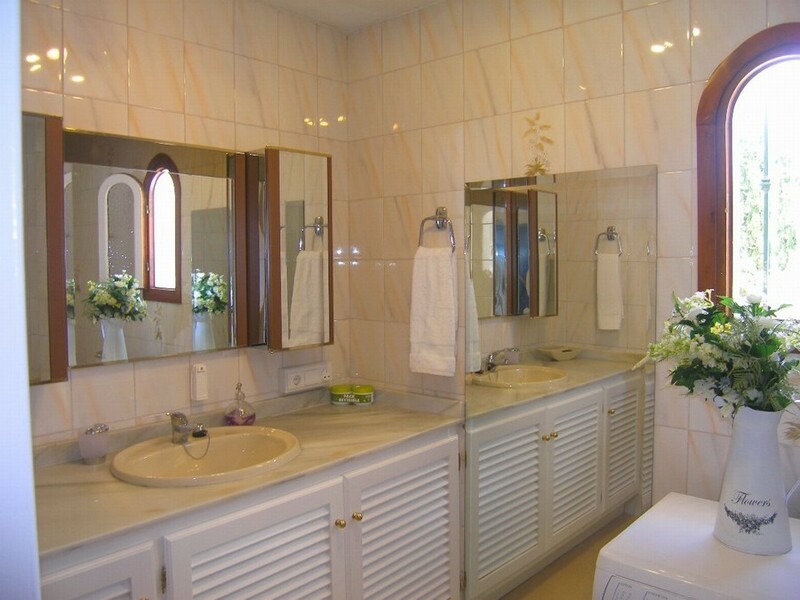 Master bedroom with built in dressing area with en suite jacuzzi bathroom. OUTSIDE : 10 X 5 METRES swimming pool with pre installed heat pump. 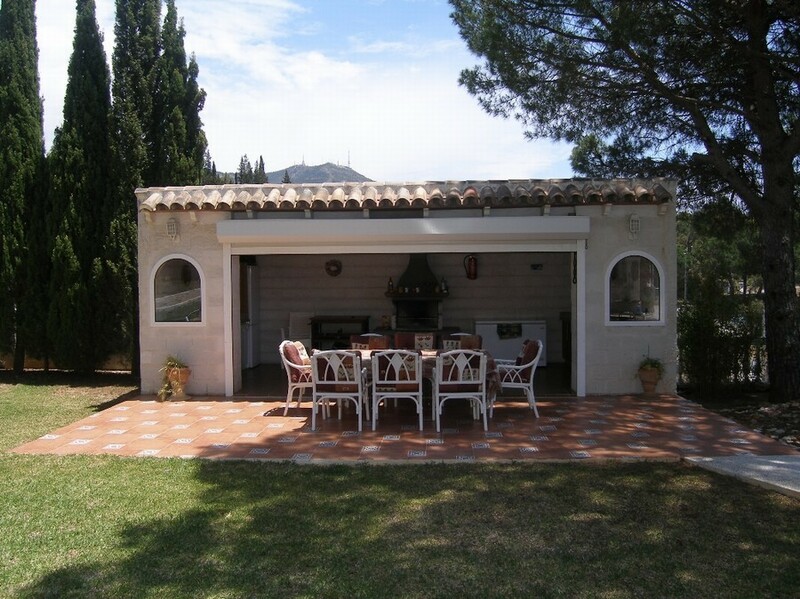 Large sunbathing areas.Level lawn garden with shaded areas. 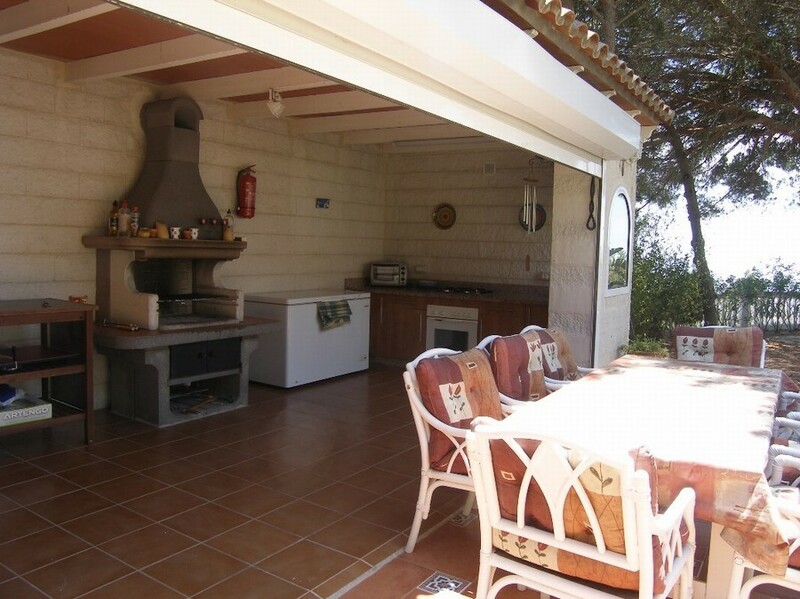 Covered outside kitchen and barbecue area extremely well equipped for al fresco dining. 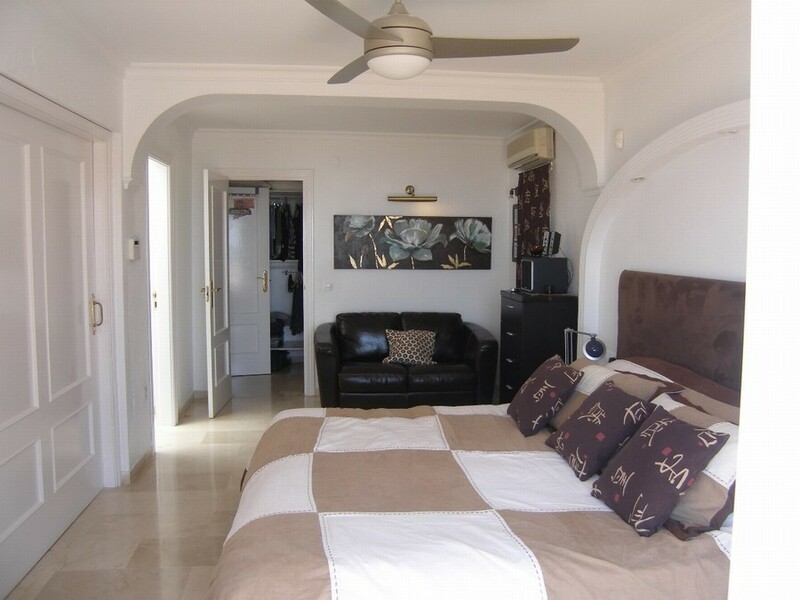 ADDITIONAL FEATURES include air conditioning hot/cold, electric central heating, ceiling fans, part double glazing, alarm, marble floors and renovated in 2005. 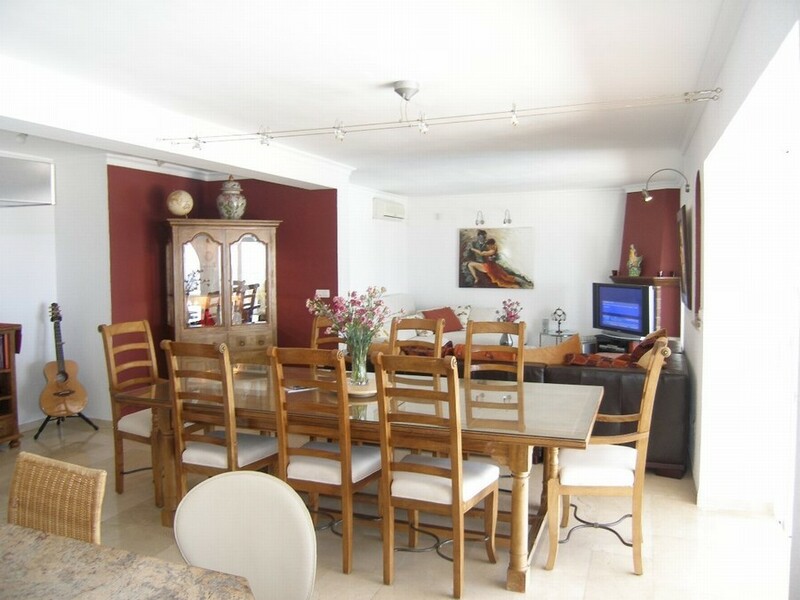 Walking distance to shops amenities, public transport and 4 minutes to Mijas Town Hall. No urbanisation fees.